Lately, Cold Brew coffee has generated a lot of questions for our sales team. What is it, how is it different than Iced Coffee, how do the margins compare between the two, and much more. So we sat down with Graham, our Western Regional Sales Manager to ask him everything about Cold Brew and how it compares to Iced Coffee. Graham is based in Vancouver, BC and is no stranger to the cold brewing method. Many of our customers have been looking to add Cold Brew options to their menu. It brings out a whole other side to the coffee bean and its elaborate extraction method makes it a premium option for specialty coffee houses. Q: I’m surprised Canterbury has been using the Cold Brew method for 8 years already! How did this start? It’s only become huge in the last two years. We have a Yama cold brew unit in our beverage training center, and we presented that probably about 8 years ago when it first became available. We presented that at a coffee and tea show to a number of customers but people thought it was just like iced coffee – not that different. Q: Do you think that Cold Brew is a Fad or a Game Changer? Q: What kind of coffee drinkers will choose a Cold Brew over an Iced Coffee? The younger, more coffee-savvy people who are willing to try something new and expand their palate. The same people are drinking iced coffee. It’s a staple so people will always drink an Iced Coffee whether or not they know about Cold Brew. Q: What is Cold Brew? It’s a brewing method, making coffee that’s been brewed using ambient, or cold water. This process replaces temperature with time for the extraction method. Instead of using hot water to dissolve the solubles in the coffee bean, it uses time. Q: How do you make a good Cold Brew? Follow a basic recipe. It’s like saying how do you brew a good pot of coffee. Some people will use ice water, or warm water and some will use room temperature water – that will affect how you’re extracting the particles. There are so many variables. The main thing is you have to match your grind particle size to your time and temperature. It’s a matter of trial and error and following the recipe. Grind: Use a drip-grind or fine grind coffee depending on the length of time you’re brewing. Grind size controls the extraction rate. The larger the particle, the longer it takes to extract all the solids. For an espresso, you’re running a 20-30 second shot – very fine or else you won’t extract as much out of it. You can run as little as 10 hours and go with a finer grind, but you’re going to extract more of the bitter alkaloids out of it because you’ve decreased the particle surface area. A lighter roast will be denser and harder to pull the total dissolved solids out of it, so you will generally need to make it a little finer or extend the contact time. Cold Brew is about experimenting. Someone can use a specific grind size for a Nicaraguan coffee which might be different than an Ethiopian coffee. You can use the same brewer, same temperature and same time, but it’s going to pull different things out of the coffee by adjusting the grind. 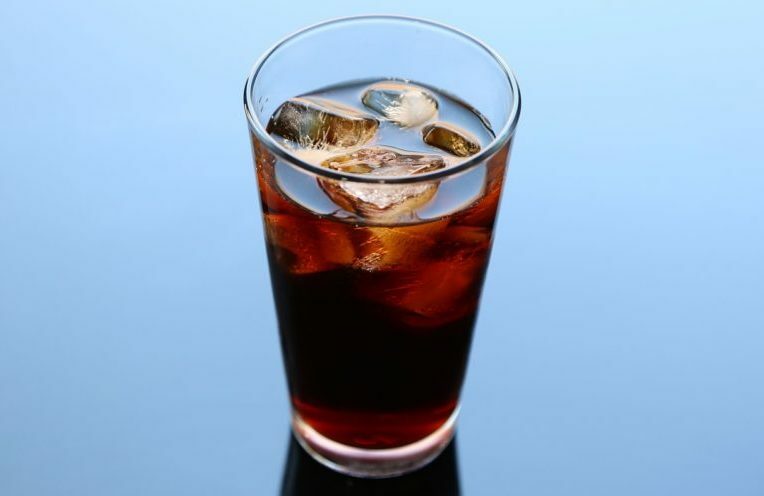 Q: Can you give us an example ratio for using the Toddy Cold Brewing system? 2 kg of coffee to about 11.2 litres (5lbs to 2.5 gallons) of water. If you keep that ratio the same, then the other things you’ll need to play around with are time and grind size. Q: What is optimal brewing temperature? Room temperature works. You can put ice water in, and in 12-16 hours the ice water will be at room temperature anyways. Someone I know makes a good homemade cold brew, which is 70g of coffee in a mason jar and they’ll put it in the fridge and leave it for 24 hours. Since the fridge is much colder, it extracts much slower than room temperature. Q: Can you make a Decaf Cold Brew? You bet! Swiss Water® processed decaf or even the chemical method of decaffeination will work. They don’t remove many of the coffee bean’s oils, mostly removing the caffeine molecules. Q: What’s the biggest mistake people make when brewing Cold Brew? It’s important to pay attention to the complexity of it. It sounds easy, but some coffees and some grinds just don’t cup out very well when brewed cold. Q: What’s the best piece of advice you’d give to someone starting to brew Cold Brew for the first time? Every batch of cold brew will be a little different, so try different things. It’s not an exact science at the café level. Try it. When you find a coffee that works, stick with it. Some people want to switch it up often. Just keep in mind you can’t necessarily exactly use the same parameters as one coffee to another. Q: Why does the word hand-crafted get used a lot with Cold Brew? Handcrafted is a great moniker for it because it is! You need to make sure the coffee is right, the grind is right, you have to make sure the time is right, then you have to reconstitute it properly and so that the end consumer gets a great coffee! Stay tuned for more from our interview about Cold Brew. Part 2 comes out June 5th. If you have any more questions about Cold Brew or Iced Coffee and how we can build a program to work for your business, give one of our awesome representatives a call at 1-888-273-8684. Talk soon!